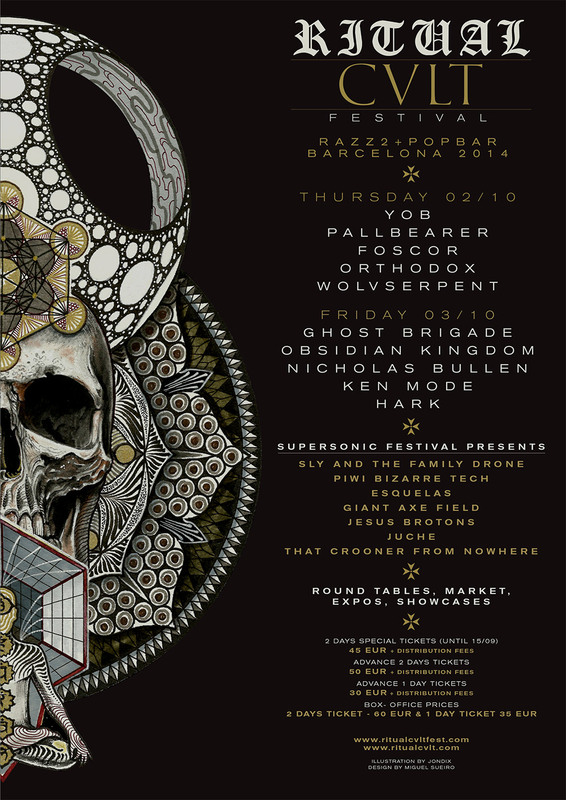 Supersonic Festival have been invited to curate and host a stage at the RITUAL CVLT FEST in Barcelona on October 2nd/3rd. The artists we’ve selected include Nicholas Bullen co-founder of Napalm Death, a highlight of Supersonic 2014 Sly and the Family Drone , a brand new AV act Giant Axe Field and Robert Curgenven. In addition there will be a number of awesome Spanish artists performing as part of our stage.